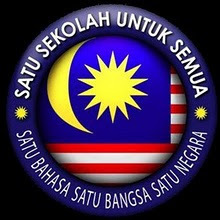 Just My Thoughts: PRU13: SPR supervised best PRU in Malaysia's history and get rewarded by being asked to report to Parliament? PRU13: SPR supervised best PRU in Malaysia's history and get rewarded by being asked to report to Parliament? Despite what the Pakatan Opposition politician had speculated and alleged of the PRU13 about non existent blackouts and non existent foreign nationals voting, not a single documented evidence was revealed by Anwar and his power hungry gang to prove fraud...I guess they would create trouble for this country as long as Anwar is not made Prime Minister. I firmly believed that the SPR had done a wonderful job to ensure a free and fair election in the last PRU13 and the PRUs before that. All our elections since our Merdeka had been relatively peaceful and I would dare say ours is among the top 10 peaceful free and fair election in the world. In fact I think PRU13 was one of the best managed election in this blessed country's history. Why I said that? Everybody in the country accepted the result by swearing in their various State Governments and the Federal Government within one month of the PRU13 results. Everybody of course except Anwar who is still in denial that he does not have the numbers(seats) in Parliament to form the Federal Gomen. 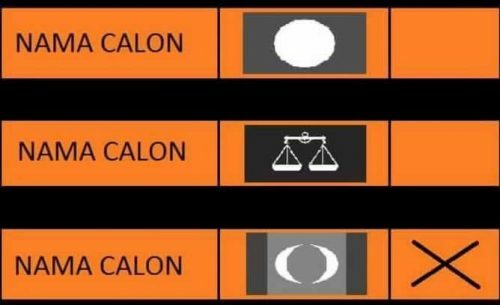 In the Parliamentary elections, the BN parties won the most number of seats (133 seats) and proceeded to form the Federal Gomen with the loose coalition of (DAP,PKR,PAS) winning 89 seats becoming the Opposition. Despite what the Pakatan folks or the doom sayer says about election fraud, popular votes won, gerrymandering or even the Chinese Tsunami...the BN won fair and square having obtained more seats in Parliament than the combined PR, the BN still managed to win the PRU13 because of one factor and one factor only and that is the majority Malays/Bumis voted overwhelmingly for BN. If the PR folks wants to win the Federal Gomen they will have to convince the majority of the Malays/Bumis to vote for them, do not blame the SPR, gerrymandering or whatever..the simple truth is that the majority of the Malays/Bumis do not support PR. UMNO/BN had done a great job of portraying the PR as a DAP Chauvinist Chinese dominated coalition to be feared by the Malays/Bumis. If PR can get their act together and get rid of heavy baggages like jailed for abuse of power leaders like Anwar and the Chinese chauvinists Lims in DAP, NO amount of gerrymandering or election fraud could save the BN next PRU14 if the majority of the Malays/Bumis suddenly decide to vote for the other side. I think someone high up should really tell PM Najib that BN won the PRU13 fair and square under the first past the post election system. PM Najib continued perceived policy of appeasement of the PR folks such as the termination of the wonderful PPSMI, the repeal of the ISA and EO, the SPR reporting to PSC etc which are myopic decisions would one day spell the death kneel of the BN in the near future.